At the lush Evenswood estate in Concord, Massachusetts, Edith Adelon, a beautiful orphan, lives as the paid companion to the daughter of the wealthy Hamilton family, although they regard her as one of their own. Years ago, Henry Hamilton saved Edith from an Italian orphanage at the request of his long-deceased brother. Now, Edith is his daughter Amy's prized friend and confidante. As the Hamiltons await a trio of visitors for the annual Greens Cup horse race, Beatrice Hamilton asks for Edith's help in finding a suitable husband for a cousin, Ida Glenshaw, with one of two visiting eligible bachelors. But when it becomes clear that both the young men have affection for Edith and not Ida, jealousy soon develops, leading to malicious conniving and brutal backstabbing. Despite the growing love between Edith and one of the young suitors, because of their conflicting social classes, the couple is reminded time and again that their love can never be. 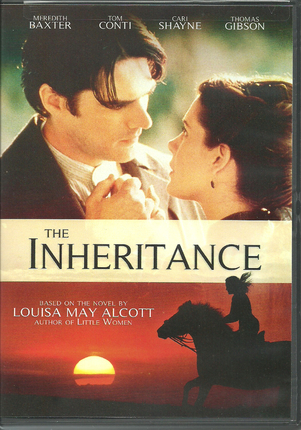 The Inheritance is a story that centers on an innocent young woman's struggle to make sense of her position within the Hamilton household and in society, and the love she feels for her patrons, as well as for a young man she can never marry. 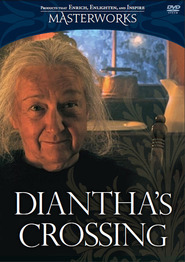 If you like Louisa May Alcott (Little Women), you will love this movie! It is wonderful! Our family has had this movie for about 3 years now. We love to watch it. The main character has real character and shows us all that money isnt' everything. The acting is good, the scenery is wonderful and there is a nice love story here too. I think I watched it 3 times when I got it. This movie was exceptional. It is one the rare movies that I will watch again and again. I rushed back to buy a copy for a friend. A story based on integrity and doing the right thing set in a dream world of the elite.